For decades, free trade was advocated as the vehicle for peace, prosperity, and democracy in an increasingly globalized market. More recently, the proliferation of foreign direct investment has raised questions about its impact upon local economies and politics. 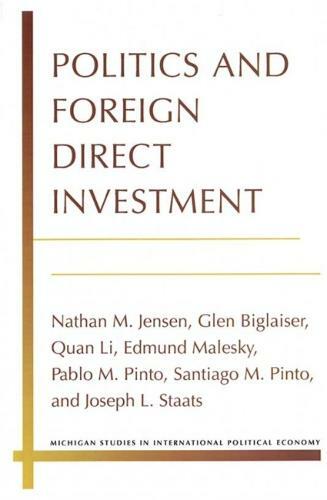 Here, seven scholars bring together their wide-ranging expertise to investigate the factors that determine the attractiveness of a locale to investors and the extent of their political power. Multinational corporations prefer to invest where legal and political institutions support the rule of law, protections for property rights, and democratic processes. Corporate influence on local institutions, in turn, depends upon the relative power of other players and the types of policies at issue.